Week 4 Best Case/Worst Case: American Housewife, Supergirl, The Middle and more! Best Case/Worst Case lays out possible scenarios for broadcast primetime TV seasons yet to premiere. Feel free to add your predictions on what I don't cover. Here's what's premiering this week. 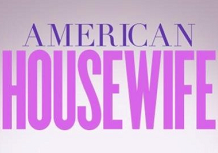 In a Nutshell: ABC's second 8:30 comedy newbie of the season is American Housewife, a family comedy starring Mike & Molly alum Katy Mixon. Like Speechless on Wednesday, it will be hammocked between a couple ABC comedy veterans, with The Middle at 8:00 and Fresh Off the Boat at 9:00. Best Case: This concept is super-relatable, Mixon should be reliably strong, and the show has gotten a surprising amount of social media attention by sitcom standards. The network may have a surprise breakout on its hands, and it goes much like The Goldbergs and builds on The Middle all season long. 1.90. Worst Case: ABC has had trouble gaining traction with Tuesday comedies, and that'll remain the case even with The Middle in town. Before The Goldbergs came along, The Middle led into a lot of failed comedies, and that tradition will start anew on this night. Toward the low end of those shows retention-wise, and out of a much underachieving Middle. 0.92. Likeliest: Initially I thought this show was gonna be like a lot of the mediocre Middle lead-outs from its early career on Wednesday (Better With You, Back in the Game, The Neighbors, etc...) Now I'm starting to warm on it a bit; like with Speechless, the promos seem fairly effective at selling it as on-brand for the ABC comedy tradition, and Mixon could be a rather appealing lead. I doubt it will be The Goldbergs, or even a Suburgatory or Speechless, but it will still settle pretty close to its Middle lead-in, and maybe even stay a touch ahead of its Fresh Off the Boat lead-out. 1.36 and renewed. Supergirl (1.68 A18-49, 115 A18-49+ last year): After a disappointing premiere week for its new dramas, the CW is pinning its hopes for growth in 2016-17 on an import from CBS. The eye moved on from Supergirl even with seemingly pretty acceptable late-season ratings, but the show has always felt like more of a fit on the CDub. Supergirl spent much of season one running away from the idea of needing Clark Kent, but will be featuring Superman more prominently this season. I kinda expected it to do about Arrow ratings before the season... after a fairly soft Arrow premiere, does that mean I should be more down on this as well, or more confident that Supergirl will do better than Arrow? In this case, I lean slightly toward the latter. It's been a big promotional focus so it should look pretty strong tonight. Likeliest: 0.73. The Middle (Tuesday, 1.88 A18-49, 129 A18-49+ last year): After seven very successful seasons on Wednesday, the ABC lead-off staple will join the effort to carve out another family sitcom night on Tuesday. Much like with The Goldbergs, I probably would've picked even-ish in Plus if it had stayed put, but the move will probably be a bit of an inherent downgrade. Still, this show has been resilient enough to avoid a major collapse. The Voice and NCIS are tough, but the late start means Middle should air a lot of episodes when at least one is off the schedule. Likeliest: 1.54. Fresh Off the Boat (Tuesday, 1.32 A18-49, 91 A18-49+ last year): The third-year ABC comedy showed some promise in season one and early season two, but fell into sophomore slump territory alongside the epic post-premiere collapse of its lead-in The Muppets. I expect The Middle to be a more reliable anchor and Housewife to do fine. So Fresh Off the Boat should hold up pretty well in a higher-viewed hour with a bunch of dramas as competition. Likeliest: 1.22. The Real O'Neals (Tuesday, 1.11 A18-49, 76 A18-49+ last year): Sort of the same situation as FotB: it may get helped a bit in a better hour with The Middle on the night. Still, I'm expecting another year of very bubbly ratings, continuing to rate at least a couple tenths below FotB. If both Speechless and American Housewife succeed, that's probably not good news for O'Neals. Likeliest: 0.98. Legends of Tomorrow (Thursday, 0.80 A18-49, 55 A18-49+ last year): Last year's third-strongest CW superhero show should become the fourth-strongest superhero show this year. Legends was mostly about a tenth below Arrow late last season, and Arrow didn't return well last week. Maybe Supergirl can do well in spite of that, but I'm less optimistic that Legends can... and it also has to face Thursday football for the first time. Likeliest: 0.57. But still a comfortable renewal.